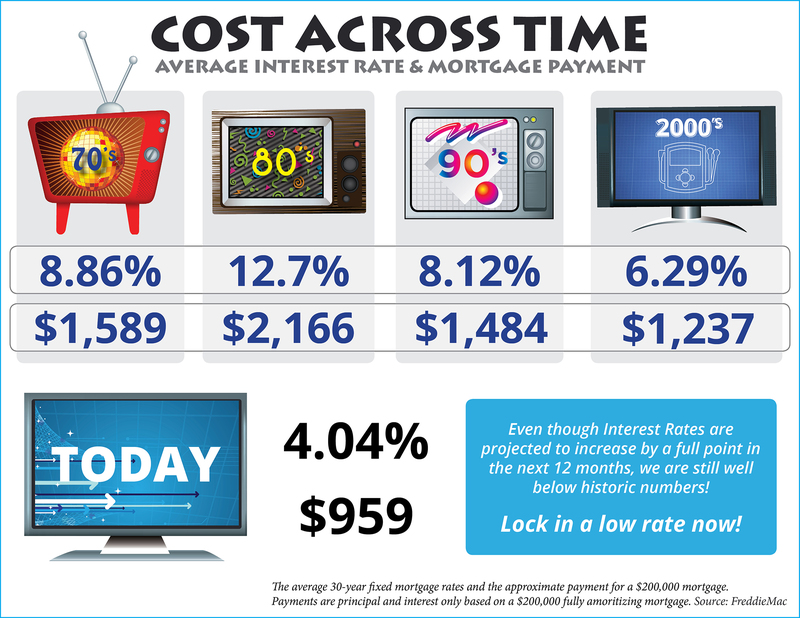 Low Interest rates still dominate and whether you are purchasing or refinancing, don’t miss this time in our history. With interest rates still around 4% now is a great time to look back at where rates have been over the last 40 years. Rates are projected to go up a full percentage point by this time next year according to Freddie Mac.